A comprehensive guidebook on walking in Austria by Kev Reynolds. 102 routes, day walks and multi-day treks are described, alongside classic hut-to-hut tours. The walks in this guide are a reflection of the variety available; with short, easy walks to arduous multi-day routes, there is something for every mountain lover. It is divided into 10 sections by district including the Ratikon, Silvretta, Stubai, and Zillertal Alps, the Hohe Tauern, and the Karawanken. 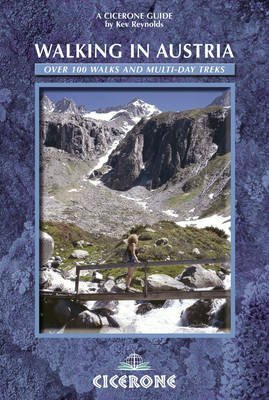 This book has all the information you need to make the most of an active walking holiday in Austria, including information on public transport, accommodation, gear required and safety issues, full details of 135 mountain huts and a German-English glossary. Austria is one of Europe's most walker-friendly countries. Its 40,000km of well-maintained and waymarked trails through breathtaking scenery pass more than a thousand Austrian mountain huts and countless attractive villages, hospitable hotels, inns and restaurants. It also boasts an extensive, integrated public transport system that is particularly useful for walkers.